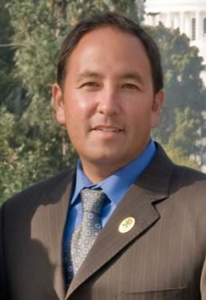 Alex Kajitani is the 2009 California State Teacher of the Year. He recently released a new book, "Owning It: Proven Strategies for Success in ALL of Your Roles as a Teacher Today." As teachers of at-promise students, we’ve often had an “upside down” view when looking at standards. Teachers in affluent neighborhoods, where students are generally performing at grade level, tend to view state standards as the floor, or minimum level of knowledge to be achieved by the end of the school year. They aim much higher. However, for us teachers of at-promise students, state standards are often seen as the ceiling. When our students come in a year or more behind, with low levels of literacy and a history of low academic performance, getting them to perform “at grade level” can be a daunting task, and achieving it a great accomplishment. So, with the Common Core State Standards for Mathematics (CCSSM) now adopted in all but a few states, does our view get bleaker or brighter for our at-promise students? Will CCSSM Make Things Worse for our At-Promise Students? As you’ve heard, CCSSM standards are far more rigorous and intensive than those of most states. Needless to say, this is raising many eyebrows and causing much concern among educators who spend their days working with our lowest-performing students. Regardless of what the critics say, the Common Core State Standards for Mathematics (CCSSM) are here to stay, and districts across the country have begun to implement them in small and big ways. I’ve been studying the new standards closely as I’m being invited to train teachers around the country on how to best use them. Am I concerned about them having a negative effect on our at-promise students? Yes, in some ways. However, I also see some openings with these standards that could actually serve our at-promise students better than the current ones. I hold hope here for these students we care about. ● What it Means: Rather than racing to cover topics in the pre-CCSSM, mile-wide, inch-deep curriculum that has plagued our at-promise students for too long, teachers use the power of the eraser and significantly narrow and deepen the way time and energy is spent in the math classroom. They focus deeply on the “major work” of each grade (see figure 1 chart at the end of this article) so students can gain strong foundations: solid conceptual understanding, a high degree of procedural skills and fluency, and the ability to apply the math they know to solve problems inside and outside the math classroom. ● What it Means for At-Promise Students: With every at-promise student comes the increased possibility of homelessness, transiency, or an unstable family. As teachers have spent the past decade racing to cover as much curriculum as they could, in order to “cram it all in” before the state tests, our at-promise students -- who have the least consistent presence in any given classroom -- have suffered the most. Providing a consistent focus from school-to-school, and from state-to-state, gives our transient students an opportunity to begin in a new school and cover the same standards as the school they recently left. In addition, a deeper, narrowed focus gives our students the opportunity to obtain and build knowledge over longer periods of time -- an opportunity that could benefit our at-promise students who often miss school. Think across grades, and link to major topics within grades. ● What it Means: The CCSSM are designed around coherent progressions from grade to grade. Teachers must work together to carefully connect the learning across grades so that students can build new understanding onto foundations built in previous years. It will be crucial that teachers no longer design, implement, and assess by themselves. Now more than ever, teacher collaboration will be the key to the success of our students. Teachers of all grade levels will need to know what the teachers in the grade levels before and after them will be covering. ● What it Means for At-Promise Students: As teachers can begin to count on deep conceptual understanding of core content and build on it, our at-promise students stand to gain tremendously from this approach. To make this a reality and a positive for at-promise students, however, administrators must insure that teachers have time to plan together, experiment together, and even fail together. In addition, teachers need to stay where they are in order to improve from year-to-year. As is often the case in schools with a large at-promise population, teachers are constantly being bounced around from job assignment to job assignment. When we make the effort to place teachers in the right job assignment and create real collaboration opportunities, we can continue to work toward the success of our most challenged students. In major topics pursue conceptual understanding, procedural skill and fluency, and application with equal intensity. ● What It Means: What I see in this critical shift is a reaction to something happening across the country. Time and time again, I’ve observed classrooms with high populations of at-promise students suffer from what I call “Death by Worksheet.” There are many reasons why these classrooms often lack the rigor necessary for students to achieve at grade level. Often, teachers who teach challenging populations fear losing control of the classroom, and find that assigning low-level tasks (such as worksheets) is an easy way to maintain control. Other teachers feel that their students lack the basic skills necessary in order to do higher level work. The CCSSM’s shift to increase rigor calls for teachers to devote equal time to be spent between developing conceptual understanding, procedural skill and fluency, and application. To promote conceptual understanding, teachers support students’ ability to access concepts from a number of perspectives so that students are able to see math as more than a set of mnemonics or discrete procedures. Equal to conceptual understanding, the CCSSM call for procedural skill and fluency, or speed and accuracy in calculation. The third aspect of rigor is that students use math flexibly for applications, as teachers provide opportunities for students to apply math in context. ● What it Means for At-Promise Students: For most at-promise students, a lack of procedural skill and fluency is the reason for their lack of success. As a middle school algebra teacher for several years, it became clear to me that the students who showed up to my class on the first day not knowing their times tables were at a distinct disadvantage from the very beginning. They continued to struggle throughout the school year, always struggling to perform basic calculations while the rest of the class roared ahead. With the CCSSM, teachers structure class time and/or homework time for students to practice core functions such as single-digit multiplication so that students have access to more complex concepts and procedures. This is crucial for our at-promise students. Lisa Delpit, author of Multiplication is for White People, selected that title for her book when, “an African-American boy who, bored and discouraged by the difficulty of his math assignment, proclaimed the subject out-of-reach for kids like himself.” In order for our at-promise students to be successful, they must be well-versed in procedural skill and fluency. For at-promise students to be successful with the application of the CCSSM, teachers including those teaching content areas outside of math (and particularly in science) need to work to ensure that students are using math to make meaning of and access content. So, will it be easy to apply CCSSM with our at-promise students? Probably not. But are there gains we can make with our at-promise students under CCSSM? I think so. With focus and intention, we can shift these shifts in favor of our at-promise students. And it all comes back to the core concept we math teachers of at-promise students know at our own core: Only when the math becomes “real” will our at-promise students begin to truly understand the role it plays in their lives, and put them on the path to academic achievement.